What with one thing and another I’ve been neglectful of this blog over the past two years. I’ve been working towards and MA since 2016. Now it’s all done I have no excuses not keeping these pages up to date. 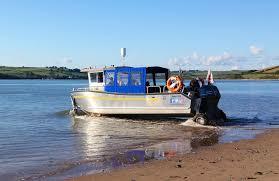 I’ve missed telling you about our new ferry which runs between Ferryside and Llanstephan. 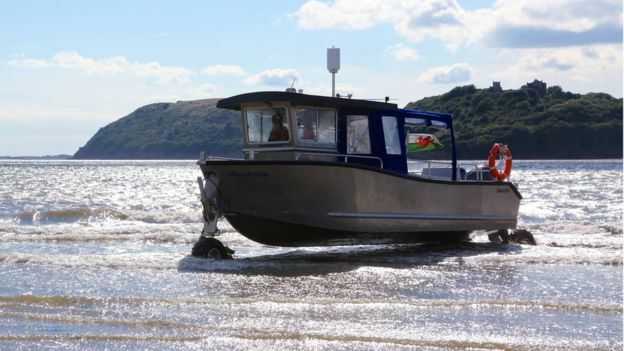 You can read all about Glanstephan (the UK’s first amphibious ferry) on Carmarthen Bay Ferries Facebook page. In early autumn we took a trip with the children to Llanstephan one Sunday, for no other reason than to try out the crossing. The journey being unplanned, meant that we only had time to spend an hour in Llanstephan before we had to come back on the last ferry but we enjoyed their chips and the children had a play on the beach. We could have taken the dogs or our bikes for free and vowed that next time we would be more organized. As part of the Welsh coastal path it cuts out the need to walk around the river Towy to Carmarthen in order to get to Llantephan. We look forward to the ferry service resuming in the spring of 2019.